Congratulating the retirees are from left to right – Cynthia Thompson, Chief Financial Officer, Sue McLaughlin, Director of Radiology Services, Bill Robinson, RT(R), Wanda Parks, RT(R)(M), and Tom Moakler, Chief Executive Officer. 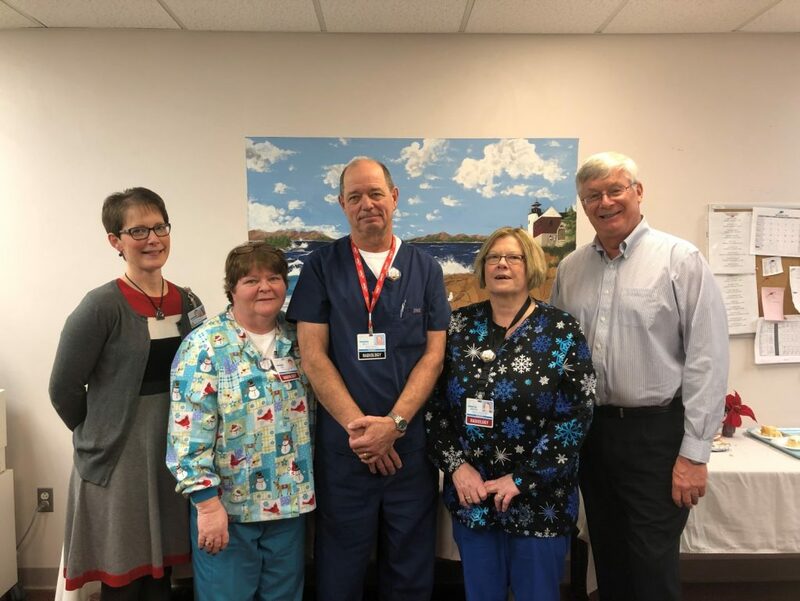 Houlton Regional Hospital recently celebrated the retirement of Wanda Parks, RT(R)(M) of Houlton and William Robinson, RT(R) of Benedicta, both from the Radiology Department. Wanda who provided diagnostic radiology, mammography and bone density retires after 34 years and Bill after 13 years of providing diagnostic radiology, and PACS administration. Their dedication to delivering the highest level of care possible to each patient has made a lasting impact on our community. Both will be greatly missed.